I am proud to say I’ve published my first short story on Amazon! The Assassin’s Remorse is a tale close to my heart, drawing close to some of my personal beliefs. You can buy the Assassin’s Remorse from Amazon, Amazon UK, Amazon CA, and Amazon AU for $0.99. And for those who have subscribed to Kindle Unlimited, you can read it for free! Cerena’s face transformed in the last moment’s of her life, the fear fleeing, and a strange, calm serenity overtook her. Her lips moved, whispering three words. The Assassin was forever changed. A decade of blood stained his hands. None of his victims had ever weighed down his conscience. He was merely the tool, the living weapon wielded by his employers. His victims had begged for their lives, had cursed him with their dying breath, and stared in uncomprehending disbelief. But none had ever been calm in their final moments. None had ever stared up at him with such serenity. 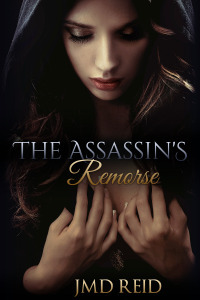 Cerena’s blue eyes and her final words haunted the Assassin. Three simple words plunged his soul into torment. Could a heart that had long been dead and desiccated beat with remorse? Can the Assassin survive against the crushing weight of his crimes?